All Natural Conditioning Beard Oil, Packed With Premium Vitamin E Oils | Scented With Citrus & Cedarwood. SOPHISTICATED SCENT: Infused with lime, lemongrass and cedar wood. WILL PROMOTE HEALTHY THICK MAN GROWTH: Meaning faster, thicker and stronger growing hair. PREMIUM CONDITIONING: Packed with natural Vitamin E and fatty acids that prevent itching, and stimulates growth. 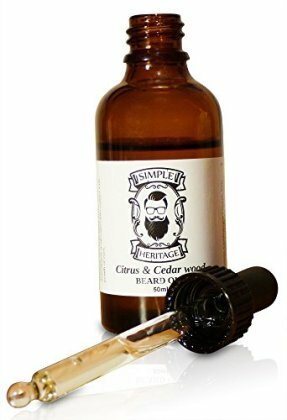 NATURAL INGREDIENTS: This beard oil contains the natural elements that are beneficial for moisturising and softening the beard while being non greasy.